September 7, 2018: What’s next for markets? I hope everyone had a great and relaxing summer. Now that we are past Labor-day and low volume summer trading I thought it was a good time to check in on markets. August was a robust month for stocks in general and Brands in specific. So much for the lazy days of summer not offering any value to a portfolio! We have all heard that September is notoriously a tough month for markets but the data also suggests that all Septembers are not created equally. If the markets head into September with strong momentum, they tend to perform well into year end. Regardless of "history", I think there's plenty of positives and negatives to consider. Corporate earnings growth and sales growth have now had 8 consecutive quarters with +20% quarter/quarter gains. This is unprecedented by the way. Unemployment is at a 50-year low, Consumer spending has been robust, Small business optimism is at record highs, Consumer confidence also close to record highs, CEO optimism at record highs and the September ISM Manufacturing report yesterday showed New Orders at +60 for the 16th consecutive month and a >60 reading in 19 of the last 20 months. That is the best string of 60+ readings since 1973! Let's just say things are ABOUT AS GOOD AS THEY EVER GET here in the USA. My only concern is that we are setting up for un-beatable comps in the next few quarters but on an absolute basis, things should stay pretty good for a while longer even if they decelerate on a relative basis. The global synchronized growth thesis is broken for now with developed and emerging market economies all over the world performing from poorly to outright dreadfully. Most stock markets outside the U.S. are in down-trends and there's no sign of a significant change of fortune as I write this commentary. That will matter to the US stocks with international revenues at some point. House price affordability is flashing a warning sign, particularly when compared to the stock market valuations in aggregate (S&P 500). Inflation in the things we all need and want is high yet the reported inflation from the government and Fed are low. That's always been quite a joke to me as I see the prices of nearly everything important consistently on the rise. The volatility index is contained for now but looks to be on the verge of making higher lows, a cautionary sign. The U.S. dollar is pulling back but in a bullish posture which continues to put pressure on non-US stocks, particularly those in emerging markets. We have $200+billion in tariffs going into effect within a week and no sign of collaboration between our government and China. Then we have Mid-Term elections in less than 60 days. Earnings comparisons get much more difficult starting in October and even harder in January so without accelerated growth, earnings could disappoint in the next few releases. Stocks are likely not priced for that possibility as the masses continue to believe trees can grow to the skies. We continue to try and avoid more "Facebook-type" downdrafts. When momentum investors exit a position, it doesn't tend to be an orderly departure. Since the positives and the negatives seem balanced currently, to me it means we should hold some more cash in portfolio and maintain a slightly defensive posture until we get either full capitulation via an equity market correction that shows some real panic (not currently) or we get some clarity on the tariffs & their effect on global growth and consumption. 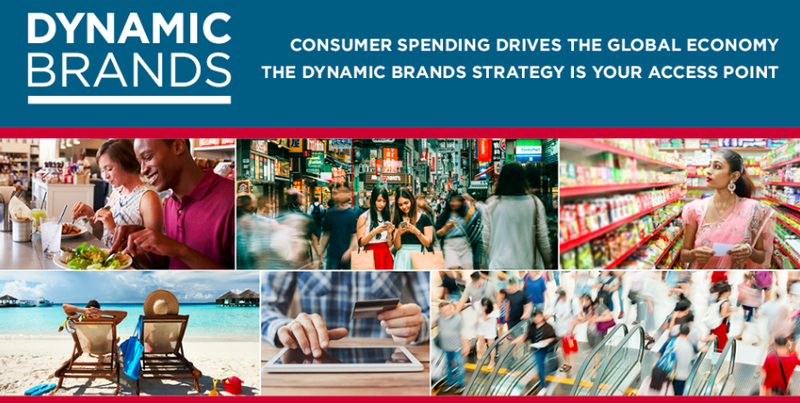 Dynamic Brands is about as defensively positioned as it’s been since we began this journey in 2016. We haven't abandoned high beta brands but we have absolutely reduced exposure in favor of more defensive positions. Balanced & defensive is how I would describe the portfolio currently. That doesn't mean we will win every day but it does mean, in aggregate we have less market beta than the S&P 500 and are invested in leading brands across important consumer spending categories. If/when consumer spending slows, we feel confident we have sufficient exposure to industries and brands that offer a more stable and predictable earnings experience. If history is any guide, many of these stocks which pay attractive dividends and offer strong dividend growth will offer better downside protection. The performance difference between growth stocks and value stocks is as wide as I have ever seen it. When the rubber band gets stretched to an extreme, the snap-back in the opposite direction is often quite volatile. Timing is always uncertain but rest assured, one of the ratios I look at almost daily is the value to growth differential. When the data supports it, Dynamic Brands will shift more towards value and reduce its growth bias even further. For now, balance is prudent. We could see the market go sideways to down for the next month or two, anything's possible. We have 200 leading brands in our wheel-house so whatever the market decides to do, we feel confident we have a strong list of companies with large & sustainable economic moats to invest in. We do not care whether we compound client capital in high beta, high growth brands or in steady-eddy, dividend paying, stable predictable growers. Cash can be a wonderful asset class when used tactically and for now, we like having 10-15% (as of 9/7/18). The score is all that matters and protecting your capital is our primary goal. Access to healthcare & biotech innovation, video gaming, big data, artificial intelligence, global ad spending, e-commerce, organic foods, cloud computing, managed healthcare, consumer products & technology, movies and entertainment, restaurants & home delivery, luxury home furnishings, warehouse shopping, brewing, wine, and distillers, packaged foods, consumer healthcare products, household products, consumer banking & loans, cosmetics, live entertainment, home improvements, semiconductors, digital streaming, small business enablers, air travel, luxury apparel and accessories, wireless telecom, mass market apparel, retail drug stores and healthcare distribution. This information was produced by and the opinions expressed are those of Accuvest as of the date of writing and are subject to change. Any research is based on Accuvest proprietary research and analysis of global markets and investing. The information and/or analysis presented have been compiled or arrived at from sources believed to be reliable, however Accuvest does not make any representation as their accuracy or completeness and does not accept liability for any loss arising from the use hereof. Some internally generated information may be considered theoretical in nature and is subject to inherent limitations associated therein. There are no material changes to the conditions, objectives or investment strategies of the model portfolios for the period portrayed. Any sectors or allocations referenced may or may not be represented in portfolios of clients of Accuvest, and do not represent all of the securities purchased, sold or recommended for client accounts.